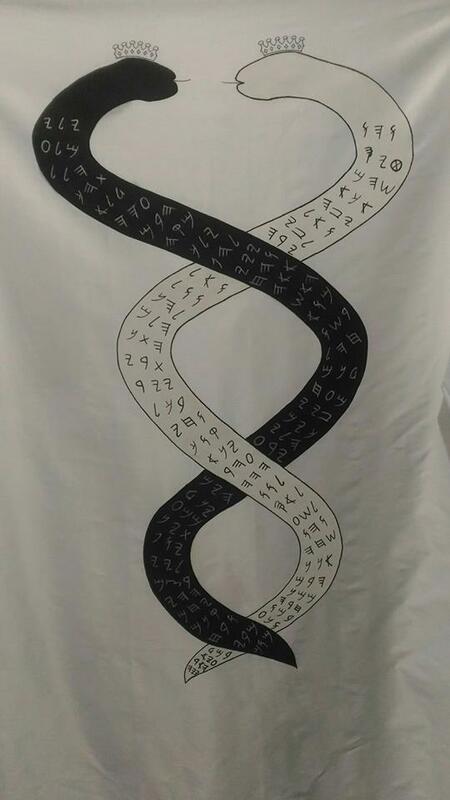 The robe carries the energetic energy of the Shem ha-Mephorash and infuses it into the wearer. 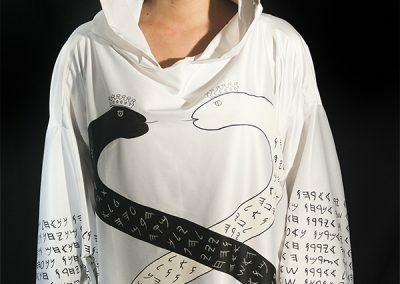 The front of the Robe has the double crowned serpents with the 72-fold names written on its body in ancient Paleo-Hebrew. 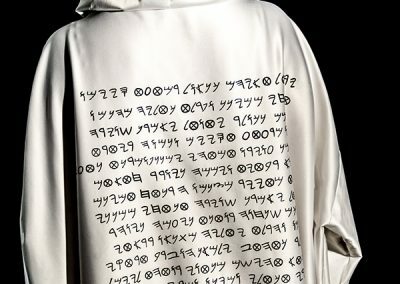 The back of the Robe has the 72-fold name mixed with the name of Metatron to form a powerful set of power words. 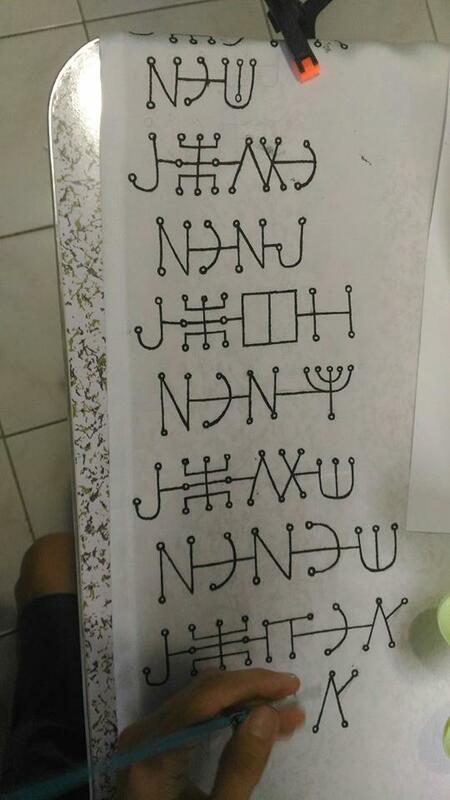 This puts the energy of the Shem and Metatron on your back for protection as well as energetic infusion of both the front and back Chakra points. 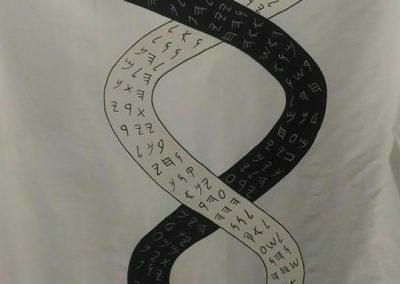 The belt has 216 jinn names inscribed. 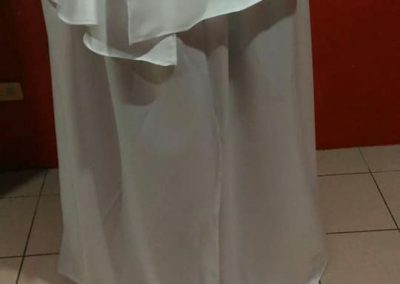 This jinn power around the waist gives the wearer powerful authority when working with all manner of terrestrial spirits and additional protection against infernal powers. These three in combination constitute a living talismanic garments that will enhance and benefit the magician during any kind of workings. 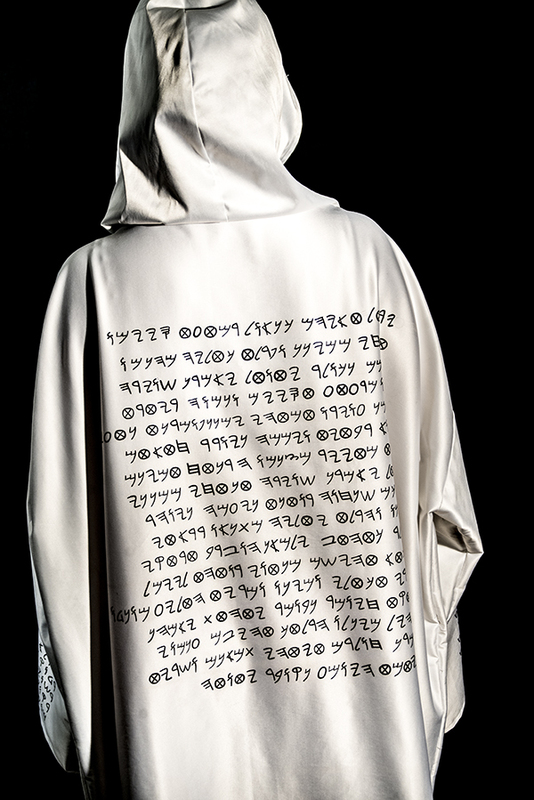 The cloak carries the energies of the angels of the Shem ha-Mephorash. 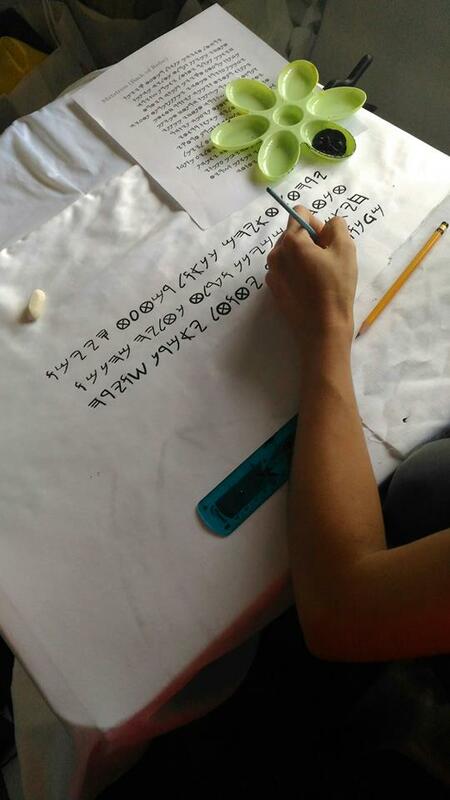 We use the power of sigils formed by using the Malachim script of the names of the angels. 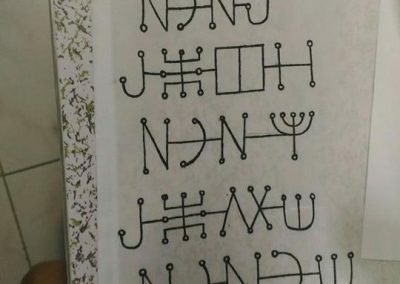 There are 720 angelic sigils. The angelic cloak not adds another layer of manifestation and power, but also provide a potent protective element. 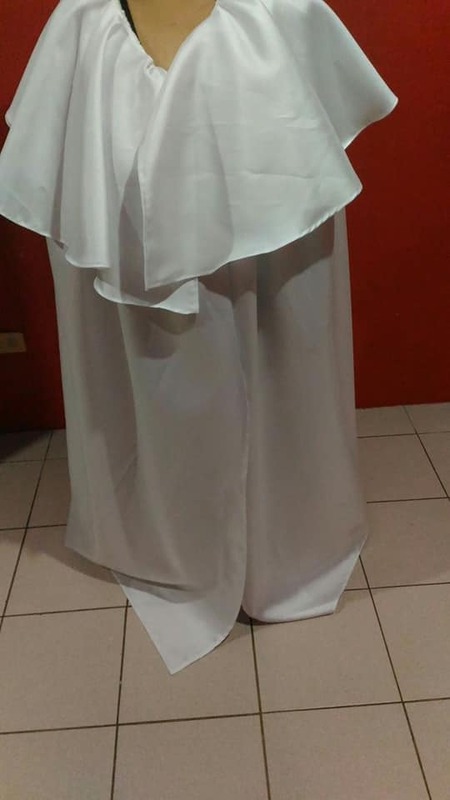 How long does it take to finish one set of robe, cloak, and belt? It takes 144 hours or approximately 12 hours of work for 12 days. This is because most robes on the market are cheaply produced and mostly bland. 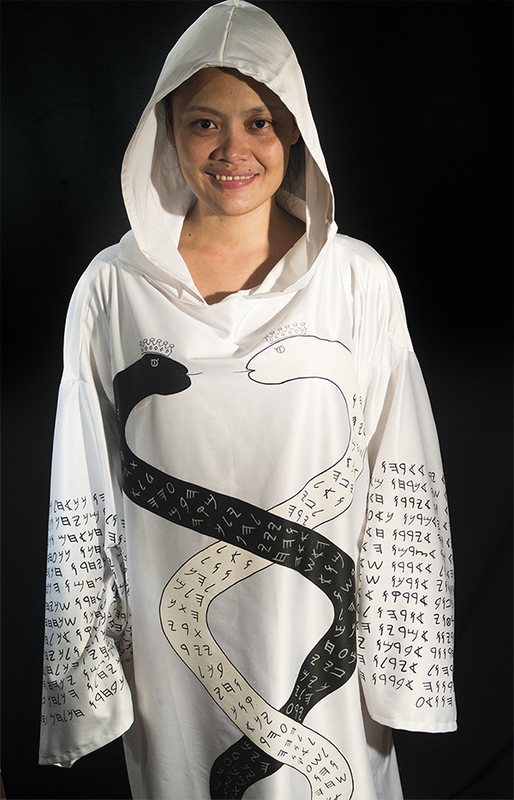 This robe is crafted from the highest quality silk and with all the inscriptions being hand painted. If you were to pay yourself minimum wage then your potential cost is $1050. This would be labor alone without the material cost factored in. The price is really at half minimum wage labor and with the materials factored in. The only way to get it lower would be to hire sweat shop labor in China and we will never do that. I'm really looking forward to this robe, but I'd like to get one later. Will it be available then? We can't promise you. This offer is hinged on our current available artist. The offer will most likely get discontinued, if she quits. Assuming we find another artist, they will likely charges us much higher fee. 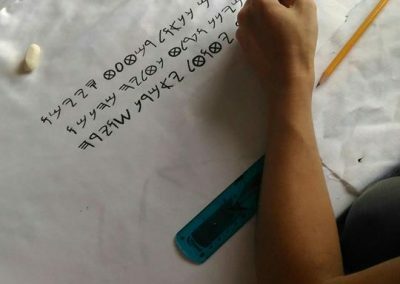 Our artist is currently working at the lowest end of the local market wages. This is a limited opportunity and if you want a robe then we recommend that you get yours as soon as possible. I just paid. How long will it take for me to get my set? It takes 2-3 weeks to finish a set. If there is pending sets then they need to be finished first. Best way to get your robe fast is to jump in early on the list. I'm tall or fat. How will this affect the price? The price is set regardless of your size. We will get your measurements then fashion the robe to the specs. 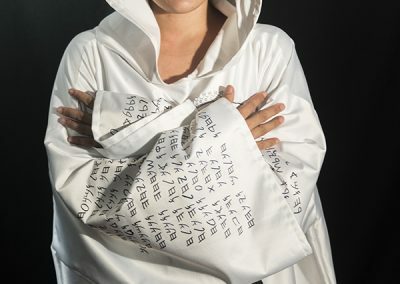 Cloak made from natural fabric (Silk, Cotton, Satin, Linen) of your choice. Selection is limited by available fabrics. Belt made from natural fabric (Silk, Cotton, Satin, Linen) of your choice. Selection is limited by available fabrics.